I’ve used this technique myself with clients. It is a good creative technique to use with people who worry excessively or are anxious. Sometimes it is good to use techniques other than talking (and listening) in the room. Visual techniques are helpful in that they display to the client where their current thinking style/behaviour is taking them. It also can help them to clearly see changes that they need to make. Everyone in the world has two seeds. 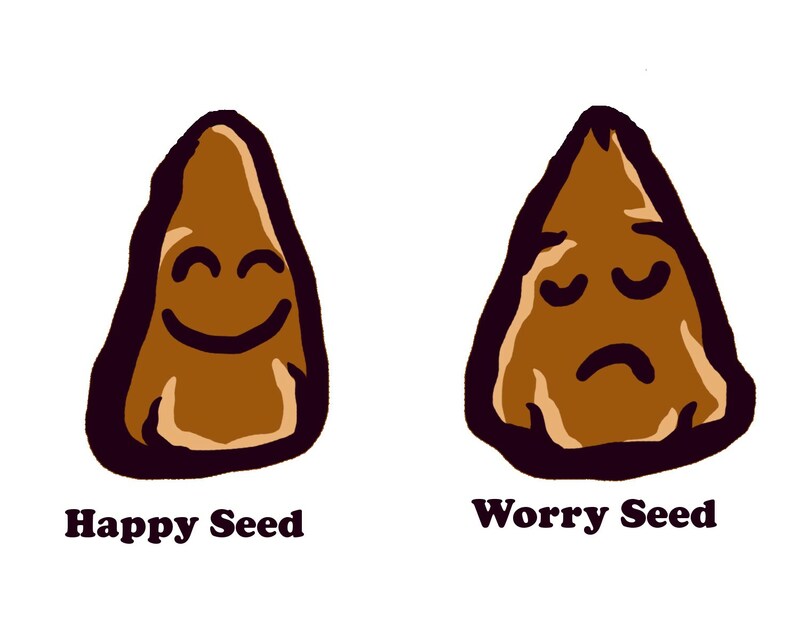 There is a happy seed and a worry seed. You can do what you like with either seed – there is no instruction book. 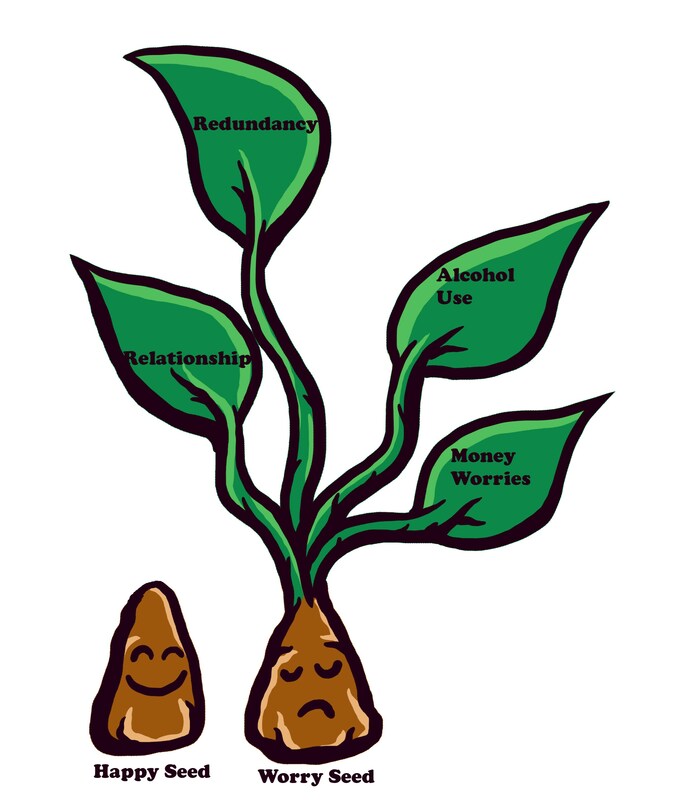 However the way you behave towards these two seeds is not without consequences. This exercise is to show what happens when you pay attention to one or other seed. 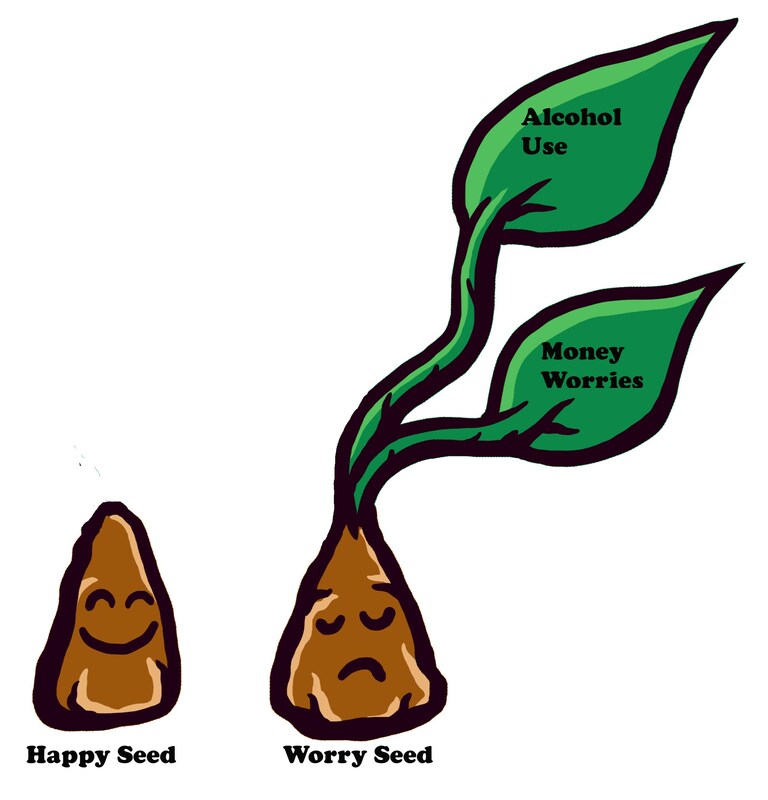 Draw a happy seed and a worry seed at the bottom of a large piece of paper. The client can pay attention to either seed. 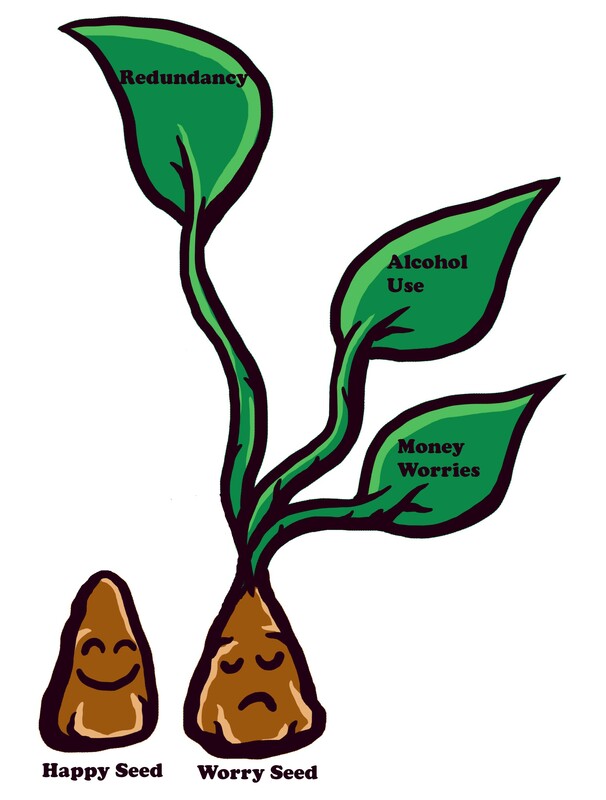 They must first nominate one as the happy seed and one as the worry seed. (Draw a label clearly at the base of the paper so that there is no doubt which one is which). They can pay attention to either seed. Each seed needs feeding and watering so that it can grow. If the client is prone to worry it is usually easier for them to pay attention to the worry seed. If a worry comes to mind have them draw a shoot from the worry seed. Have them attach a leaf to this shoot labelled with that worry. 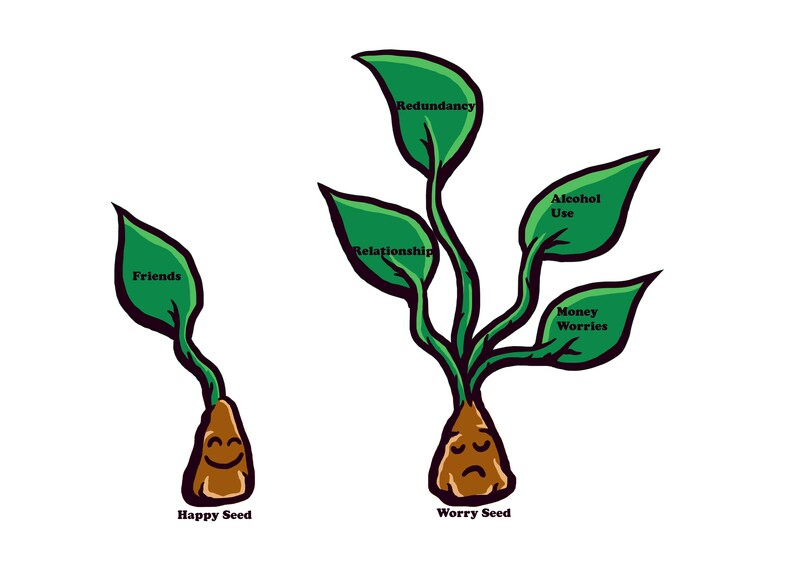 At this stage the worry seed is developing into a plant. The happy seed is still just a seed. The client has free rein to add shoots to either seed. Have them add more shoots with whatever comes to mind. Their predominant thinking style will rise to the surface. Someone who worries draws more worries. Dependent upon how much the client has to bring up it might be that you will need a very large piece of paper for this. (Plain wallpaper for example is good). As you watch what the client is doing you can see that they have a tendency to water and feed one particular plant dependent upon their thinking style. This can continue for as long as you have time designated to this. However a definite pattern will have emerged. At which point you can point out to them that in life there is only one pot of time. They can pay attention to anything that they like but only one thing at a time. 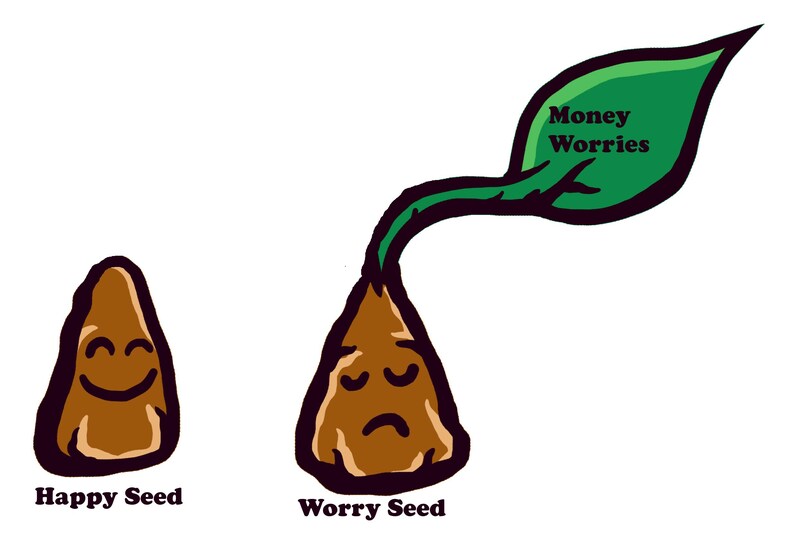 If they pay attention to the worry seed – they care for it, water it and it will start to grow. A first worry leaf develops. With further attention to the worry seed another leaf pops up. If they keep caring for the worry seed in time a tree of worries will fill the page. Their life will be full of worries and there will be no space left for happy. They can’t care for the worry seed and at the same time pay attention to the happy seed. With no attention to the happy seed they concentrate all their energy on worry. The worry tree becomes so huge that it is overwhelming. By comparison the stunted happy tree is undeveloped. In fact the happy tree is completely overshadowed by the worry tree and is not going to grow properly. Get them then to consider how life would be different if they spent at least some time on the happy seed. Better still if they watered and cared for the happy seed at the expense of the worry seed. How much different would life be then. The intention is for them to seek out the parts of their lives that are happy and to minimise the time they spend worrying. Thanks to my counsellor Rachel http://www.elyhypnotherapy.com/ for suggesting this technique.